Update: Sold out, everyone’s a loser after all, no participation trophies. While it’s theoretically possible the PS4 Spider-Man bundle will come back in stock for $199, I think it’s highly unlikely at this point. 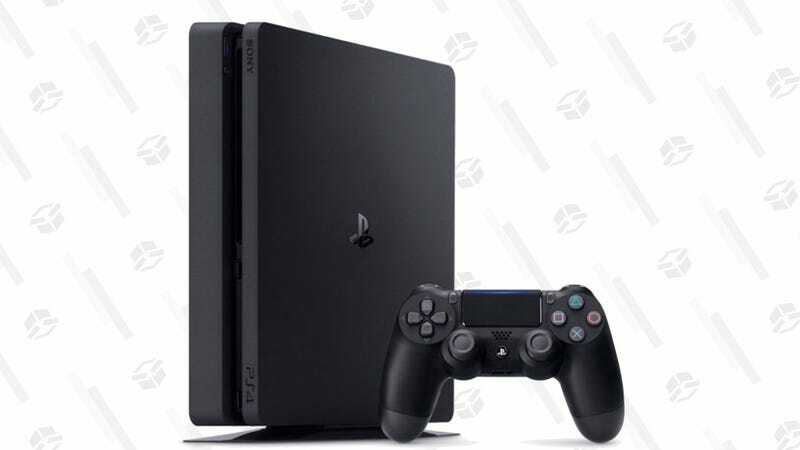 If you didn’t manage to grab one around Black Friday, and if the 11 seconds it was in stock wasn’t long enough to get last night’s Red Dead deal, it looks like the best you’re going to do at this point is a PS4 Slim 1TB console by itself for $199. It’s a bummer to not get any bundled games, but look on the bright side. You can actually buy this without struggling to read a credit card number in your sweaty, shaky hand as you try to beat the online throngs. You don’t have to get Mad Online because a bunch of resellers scooped them all up before the Real Fans could. You can just buy it. It is a PS4. It is under $200. It is good.